Hide has had a remarkable year achieving his first victory in the IFBB winning the Orlando Pro show coming second in Arizona and in blazing form at NYC Pro Show and to end it all with a 10 th place finish at the Olympia . Despite competing so much in 2010 and running into a few injuries he still was looking in formable shape and is ranked among the top 10 best bodybuilders in the world. 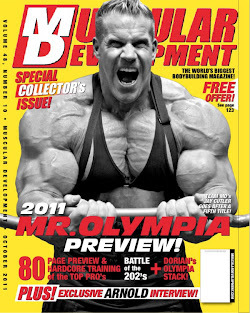 Not to mention the only asian to ever appear on the Olympia stage. We have commenced our off season preparation for 2011 and things have been very well with training . We are working on improving some weak spots and increasing muscularity . It's amazing even with an off season diet and added weight he still looks in incredible condition. "Eric Di Lauro trainer to Hide Yamagishi"